To begin with...: Why read my books? 15 reasons you should consider making a purchase. Why read my books? 15 reasons you should consider making a purchase. I don't do much in the way of advertising my books. So I thought this week I would post some reasons for someone to read my Students of Jump series, currently up to book 4. The following are the reasons that came to mind. You haven't yet. Everybody needs to relax for a while each day. Relax with a book. You will be thinking about something other than what is troubling you. You will feel an affinity for at least one of the characters and want to know what is going to happen next to him or her. 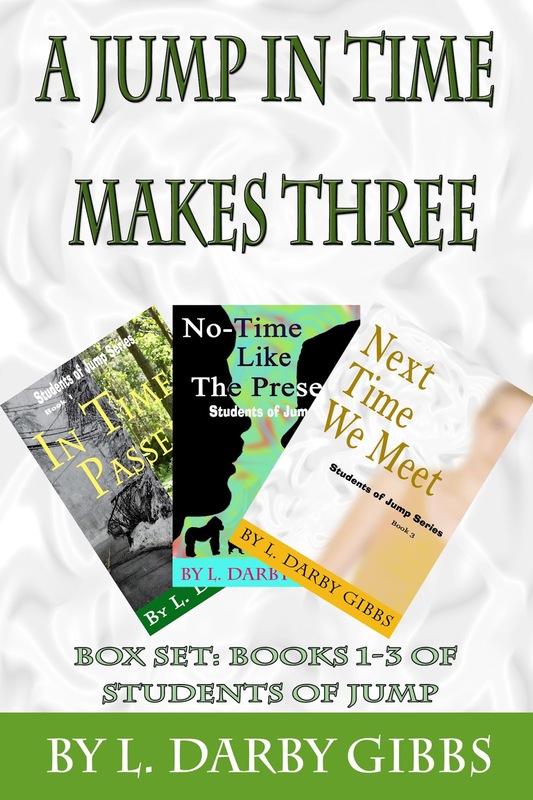 If you enjoy time travel stories, you'll enjoy my books. There are no cliffhangers. Each novel stands alone. Each one is better than the one before. They have strong women characters. You can get them for a good price at all popular retailers and a number of online libraries. There is something to laugh about, cry about, and think about in each one. You can purchase my book in a variety of eBook forms for many ereaders: Kindle, Sony, Kobo, Nook and of course, computer apps. 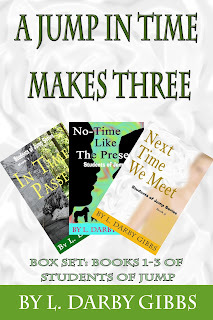 You can buy the first three books in a box set for only $6.99. That means each one is a bargain at $2.33. There are four books currently in the series. Will Brent come to terms with both his pasts? Will Misty forgive her father, save her mother, or get her aunt's gate painted? Will Mack and Emily figure out who took Renwick mid time jump and keep each other safe from the same fate? Will Quinn complete his time jumping test or take a forfeit to remain with an ever shrinking selection of pasts? 15. Now the writer shouldn't answer all the questions. I bet you can come up with the fifteenth one.